The transforming chair, designed by Lygija Marija Stapulionienė (born in 1928) and included in the 1959 set of living room furniture, is a true masterpiece of the Lithuanian design. It reflects the spirit of the 1960s, the author’s inner freedom and the ability to create aesthetic harmony by using basic materials, simply by basing it on the intended construction of the object. 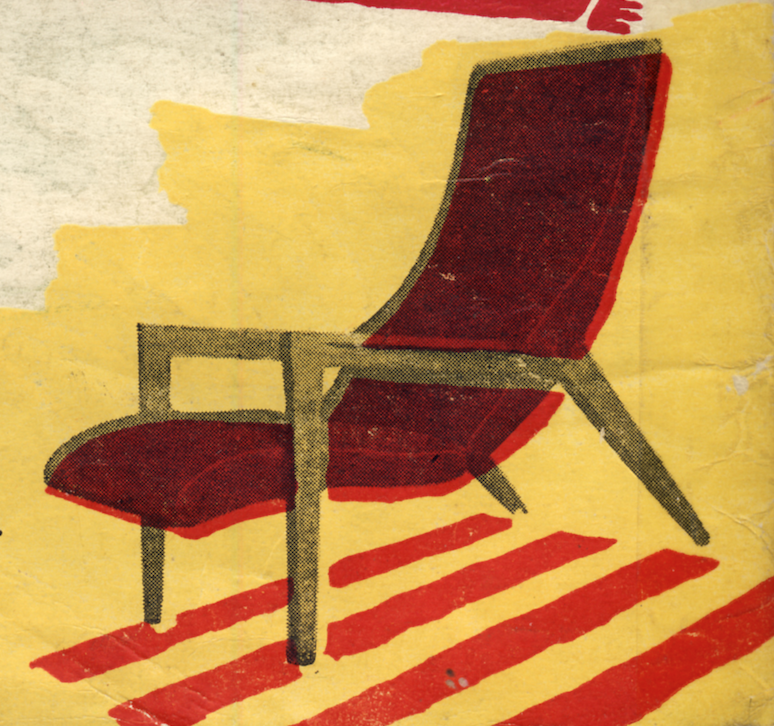 The subtle frame of the reclining chair, called a “transforming lounge chair” at the time, symbolically embodied the changes in the period’s design, the aspiration to get closer to the Western vision of prosperity and to dissociate from the post-war tasteless and crude interiors where only absolutely basic objects had their place. 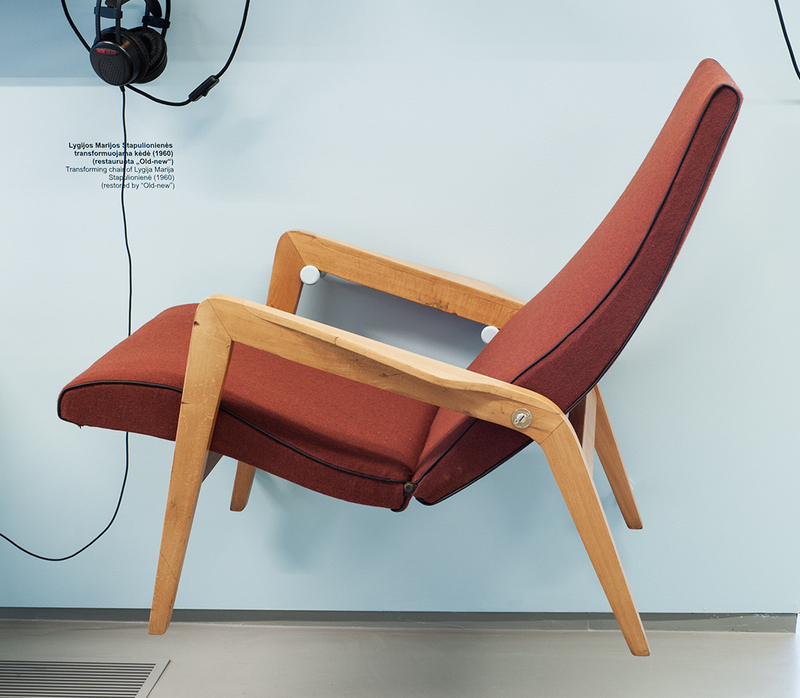 This chair was intended not for work or professional environment, but rather for relaxation while lounging and resting from everyday worries. Since 1958 Stapulionienė worked in Vilnius, in the recently founded furniture construction bureau. 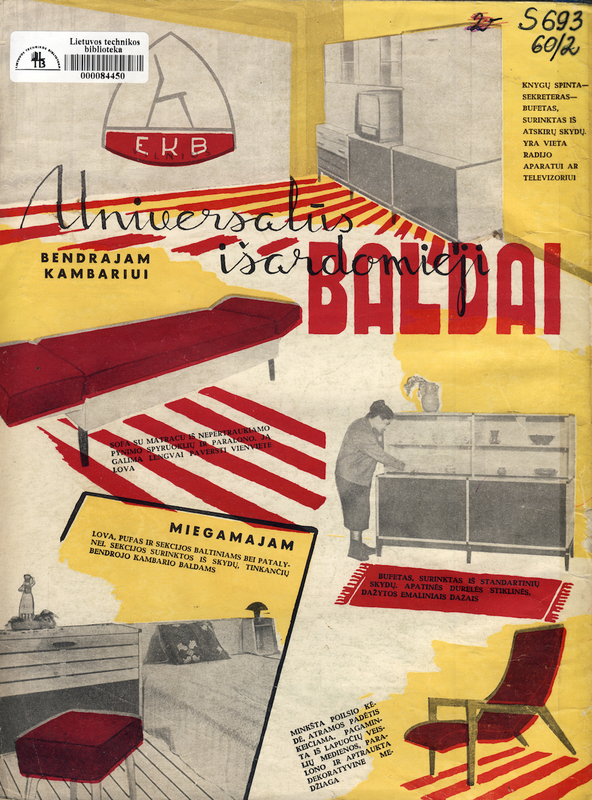 The bureau employed Lithuanian architects, engineers and designers who designed new models of furniture and furniture sets for mass production. The works of Lithuanian authors were used in various public establishments of Lithuania and the USSR, among them the High Council, Vilnius Sports Palace, Opera and Ballet Theater, famous restaurants and cafes in Vilnius or Moscow, and even hotels in Africa or schools in Yemen. 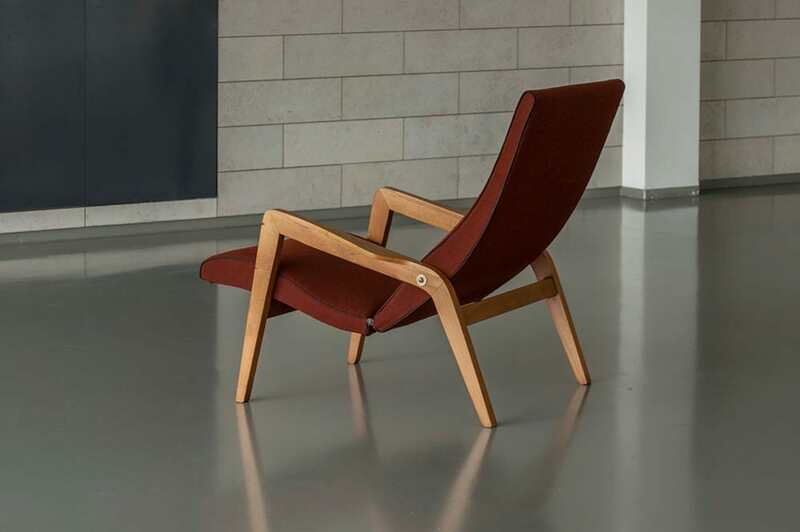 The transforming chair was one of the first works by the young designer L. M. Stapulionienė who graduated engineering and architecture from Kaunas polytechnics institute in 1954. 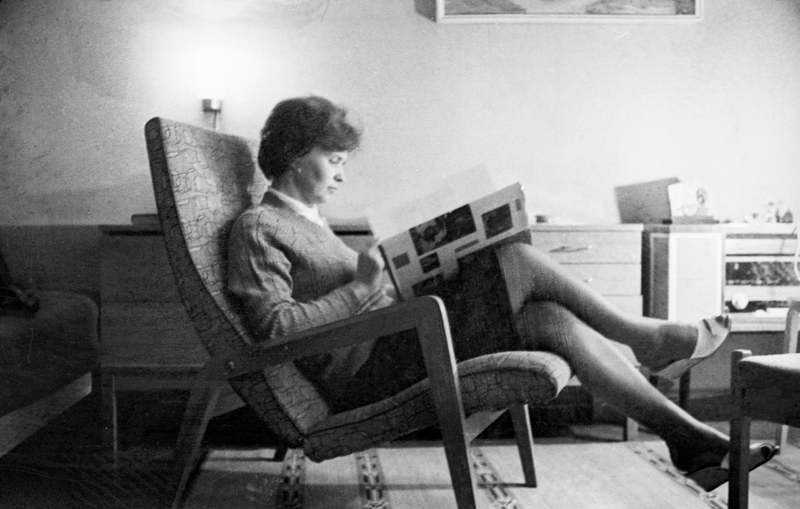 In 1959-1960 Stapulionienė designed her first sets of living room furniture. 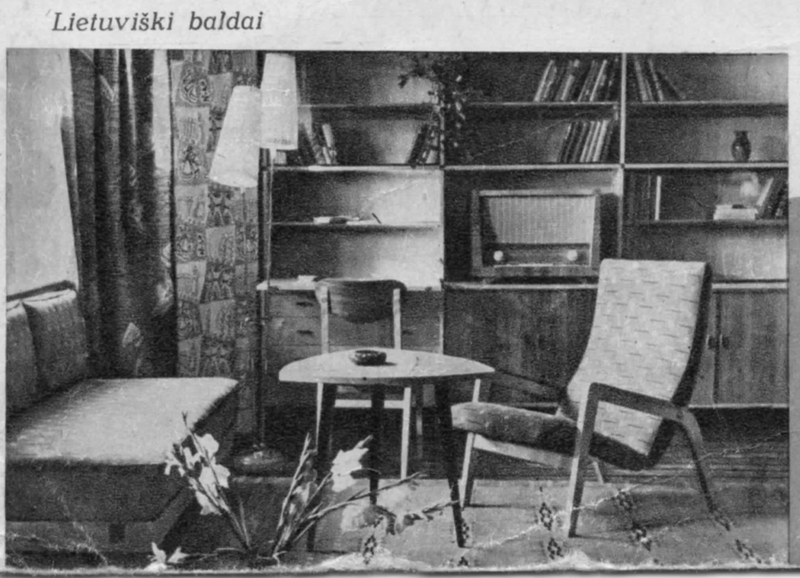 One of such sets featured the “transforming lounge chair”. This set included all the furniture required for a living room: a spacious cupboard with open bookshelves on top, a triangle thin-legged coffee table with chairs, a sofa-bed with bedding compartment and matching armrests, and the famous transforming chair. 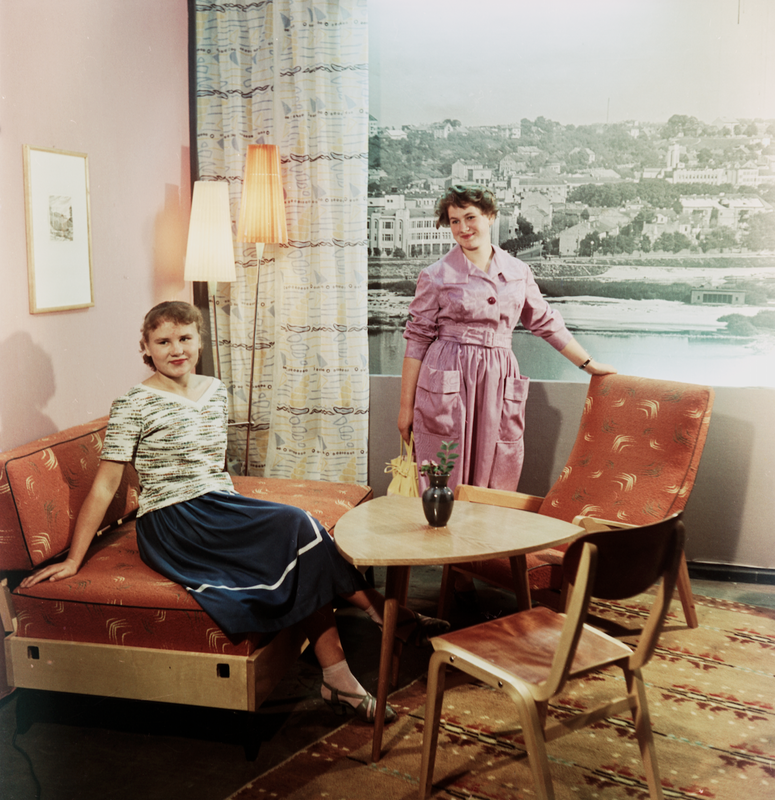 This furniture set was Stapulionienė’s debut in the Moscow furniture exhibition and earned her an incentive prize.